We've got your back. We're internet marketers. And data protection experts too. There's way too much conflicting information on the web about doing business in the EU, and some of it's just plain wrong. We'll tell you exactly what you need to do, and give you the support to do it well. Flor McCarthy is one of Ireland’s leading lawyers and a recognised expert in marketing. He has particular expertise and hands-on practical experience in privacy, data protection and GDPR issues for marketers. He is the author of the award winning book The Solicitor’s Guide to Marketing which is the leading Irish text on data protection in legal marketing. He is certified by the Law Society of Ireland in Data Protection Practice and lectures lawyers on data protection practice and compliance. He is managing partner of a multi award winning niche legal practice. 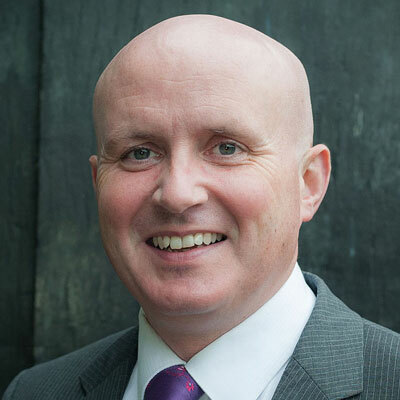 He has been in private practice for over 20 years and has been elected by his peers to sit on the exclusive Council of the Law Society of Ireland, the governing body for Irish lawyers. Ireland is the recognised base for US online businesses in the EU, being EU home to Google, Facebook and LinkedIn among others. After Brexit, Ireland will be the only English language country in the EU offering a safe and familiar common law legal system with regulation in the English language. GDPR requires that, if you don’t have a physical presence in the EU, you need to have a designated representative. We do that. Go HERE now. Whether for an hour or a day, we’ll sit down with you and your team to build a complete strategy for success. Stay on track with the tools and templates you need to do business safely & profitably without the guess work. Comprehensive training for you & for your team that will solve your most pressing problems & address your most urgent needs.